What is flight itinerary or flight reservation means and how to obtain one without purchase a full ticket? Submitting a visa application can be a stressful process. During which, you will have to fulfill with various requirements. Schengen, UK, and US visa are amongst those difficult to obtain, hence all visas requirement and procedure are similar. A roundtrip flight itinerary or flight ticket is a mandatory requirement for visa application. It shows that you have made your travel arrangement and return plan. The embassies like to ensure that you do not have an intention for overstay. WHAT IS FLIGHT ITINERARY FOR VISA APPLICATION? Flight itinerary for visa application is an electronic itinerary in PDF file with your full name, date and flight information to your destination country. It is a mandatory requirement for visa application to most countries. Also known as flight reservation, the flight itinerary is a proof for the consulate or embassy of the destination country to validity your travel dates and decide your application. Flight itinerary is also known by other phrases like booked flight; itinerary; confirmed flight itinerary; detailed flight reservation; flight itinerary for flight visa application; air ticket booking; dummy air ticket; dummy air ticket for visa; flight confirmation; flight reservation. This is the safest method that is used for submitting a visa application without paying for the full flight ticket. You can obtain a flight itinerary for visa application online with us and download instantly at a minimal cost. WHY NOT PURCHASE AN ACTUAL TICKET? This is definitely a risky thought since you’re unsure of whether your visa application will be approved. Embassies do not recommend applicants to purchase full flight ticket before visa approval because of the high rates of visa denials. There are also possibilities for visa application delay. Either case, you are posing the risk to lose on cancellation fee or even full ticket if it was a non-refundable ticket if in the unlikely event your visa application is denied or delayed. Of course, if you prefer to purchase a full flight ticket, there is a refundable flight ticket which only offered by the airlines directly. However, they tend to cost more in price compared to full flight ticket from a travel agent or online. Considering the huge price difference, making this is the least recommended option. It is recommended to get a flight itinerary or flight reservation only through a certified travel agency associated with airlines, provides you with the live validity travel information. Most important, you don't have to pay for the price of a full ticket to apply for visa. To obtain your flight itinerary, please select the right itinerary for you in price & plans, and proceed with payment for small fee. Your flight itinerary is available for you to download at the end of the transaction. You may print out and submit it with your visa application. No waiting for an email, no extra payment for express service. Yes, you'll get your flight itinerary instantly. How simple is that! For all your future trip and visa application needs, flight itinerary is the best alternative over purchase an actual full ticket. 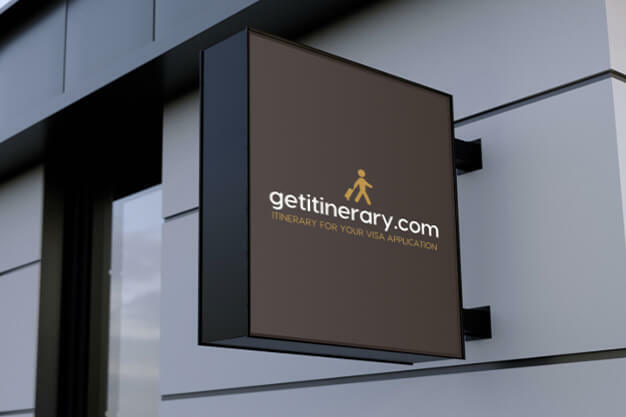 We offered the flexibility for you to choose from services that suit your application needs, which include optional hotel itinerary.